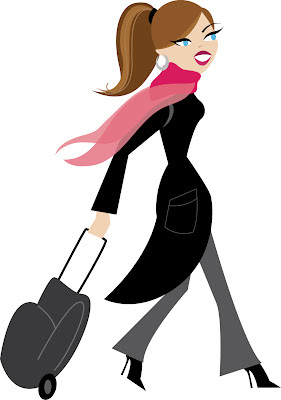 This is me today (minus the blue eyes, of course :) heading to the airport to jet set somewhere warmer than New York. This February and winter season has been quite brutal between all of the snow and cold weather! I am so much happier in warm weather. I will be gone for a few days so that I can check out some new hotels, restaurants and shops. I will share what I've found with you all when I get back. In the meantime, please take time to check out some of the older posts you may not have read yet. Be back soon! HAPPY VALENTINE'S DAY JET SETTERS! FASHION FRIDAY: WHERE IN THE WORLD IS YOUR HEART? LOVE YOUR HONEY AND THIS DEAL!